The Auburndale Police Department is comprised of sworn and civilian members who deliver services in every aspect of law enforcement. The Law Enforcement Division is comprised of four Patrol squads and the School Resource Unit. The Operations Division is comprised of Records, Property & Evidence, and various other support functions. These divisions are commanded by lieutenants who, with the chief and deputy chief, form the agency’s command staff. The Criminal Investigations Unit is supervised by a sergeant and includes detectives and officers assigned to the Crime Reduction Team. The Law Enforcement and Operations Divisions, the Criminal Investigations Unit, and Code Compliance report to the Deputy Chief of Police. Law Enforcement is the largest Division within the police department. The Law Enforcement Division includes Patrol, Public Safety Aide, and the School Resource Unit, providing a full range of services 24-hours per day, seven days a week. The Operations Division is comprised of Records, Property & Evidence, and Accreditation. The division commander is also responsible for Training, Recruitment/Employment, Fleet, the Field Training Program, Special Details, and acts as the Public Information Officer. The Criminal Investigations Unit is supervised by a Sergeant and is comprised of detectives and the Crime Reduction Team. Detectives generally work during the day but are on call after hours to respond to significant criminal events. The Crime Reduction Team focuses on crime trends, crime hot spots, and handles drug-related investigations.  The City of Auburndale has City Codes (ordinances) that are specifically designed to address blight, nuisances, and to maintain a clean environment for all citizens in our community.